I’m working my way through these favourites posts a lot slower than I’d expected but there’s only one more to go after this one. Today I’m looking at my favourite products for the eye and brow area so let’s get into it. I’ve been using the MAC Brow Crayon for years because it’s easy to buy, relatively cheap and the shade Stud is the perfect dark cool brown for my colouring. I’ve tried brow markers, pens, pencils and gel products in the past but this is the one that I keep going back to. It’s just really easy to use and if I get a little carried away with it and over apply, I just brush through my brows quickly with a spoolie brush and it’s fine. I did a bit of a mini rave about Laura Mercier Products in my last favourites posts so it’s not going to surprise you that I’ve got another one of her products in this post. I used to favour coloured brow gels but have stuck to clear brow gels since discovering this one. I like it because it goes on well without getting that dry, crunchy texture that some brow gels have and it keeps my brows in place all day. If you’re like me and have brow hairs that grow in every direction, you need this in your life. I was a die hard Urban Decay Primer Potion fan but I started to get a rash from it (still haven’t worked out why, maybe a silicone allergy?) so I switched to the Too Faced Shadow Insurance primer. I loved that but the product kept separating which I found really frustrating. I’d heard lots of rave reviews about the NARS one so I decided to give it a go and haven’t looked back since. This primer lets me do what the others couldn’t and that’s using shadow or concealer directly on top of it and have no creasing even after a really hot day. I must have really oily lids because with the other two the only way I could avoid any creasing at all was if I put primer down first, a paint pot on top of that and then the eyeshadow. My eyelids have also stopped reacting so whatever is in here is working really well for me. I used to use this mascara for years but stopped to go see what else was out there but I came back to it in a big way this last year. I love everything about this product and the way it lengthens and thickens my lashes. It also holds a curl really well and I like it just as much with dramatic eye makeup as I do with a very bare eye look. This liquid liner by Stila has become my favourite because it’s very black and long lasting which is a necessity for me since my lids are so oily. I also really like the brush and the product comes out really easily and gives a lovely smooth line. Stila has been one of my stand out brands in 2013 because their products have been really high quality with great colour choices and the prices are also quite reasonable. I have a lot of palettes but the ‘In the Light’ palette has been a constant go-to for every day looks because the colours just work well together. You can tell from the picture above that Bubbly, the gold shade, has been my most used but you’ll find that the gold shade is always the first to go in any palette I own. What can I say, I love me some gold lids! 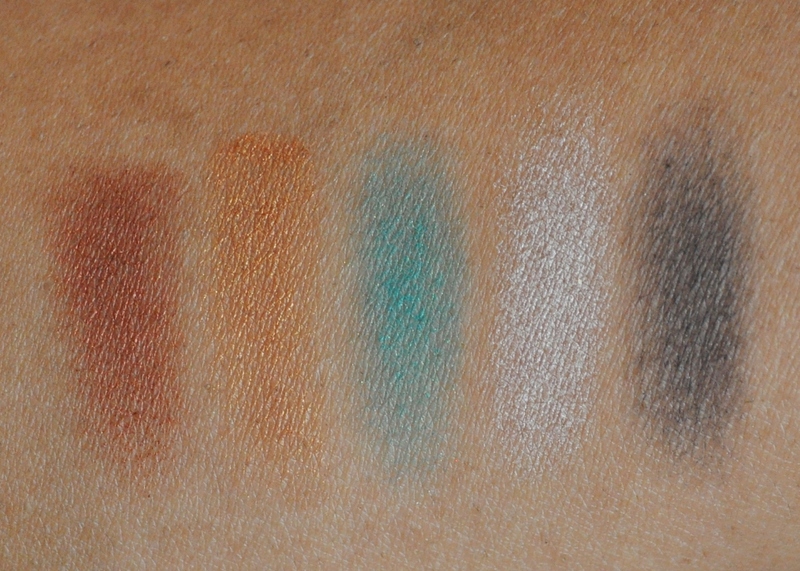 Swatched above from left to right is the top row of the palette: Bare, Kitten, Bliss, Sunset and Sandstone. 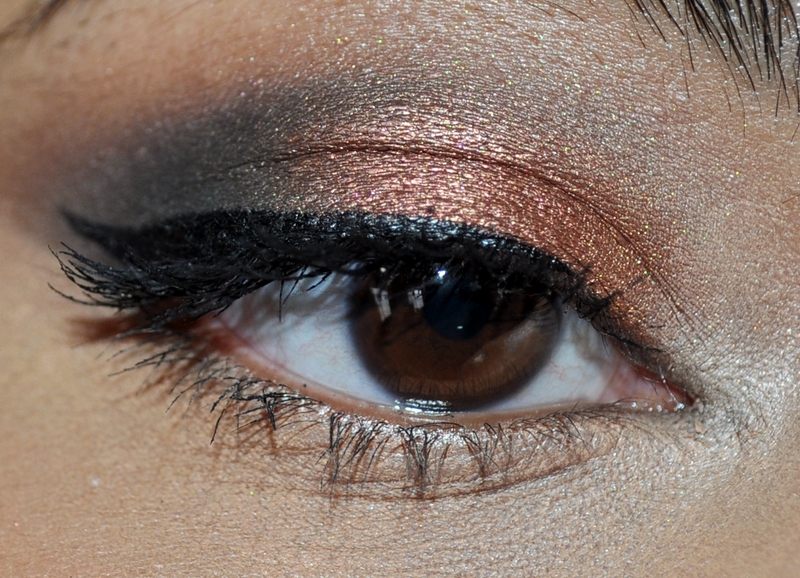 The other two shades I use the most are Kitten for an inner corner highlight and Sandstone to blend out the crease. 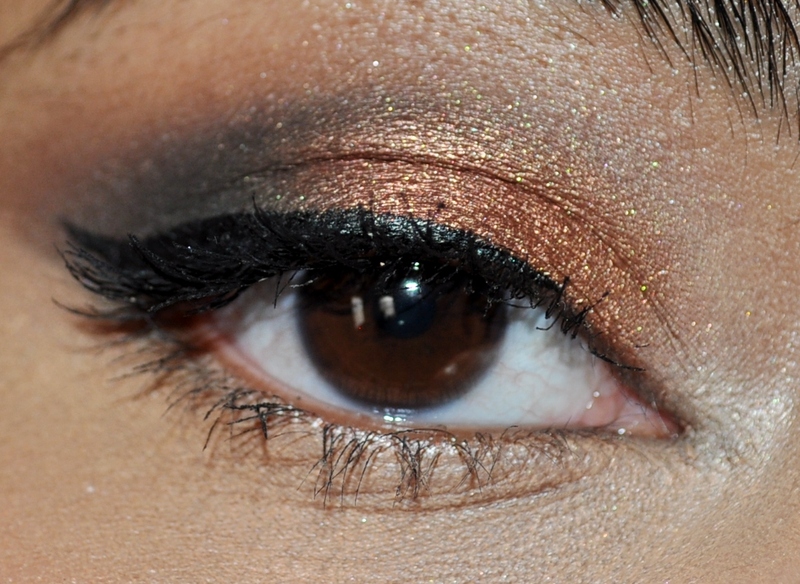 I also mix in a little Bliss with the Sandstone if I want something a little more subtle in the crease. Sunset is also really pretty on the lid and it’s the shade I wish I’d remember to use more. 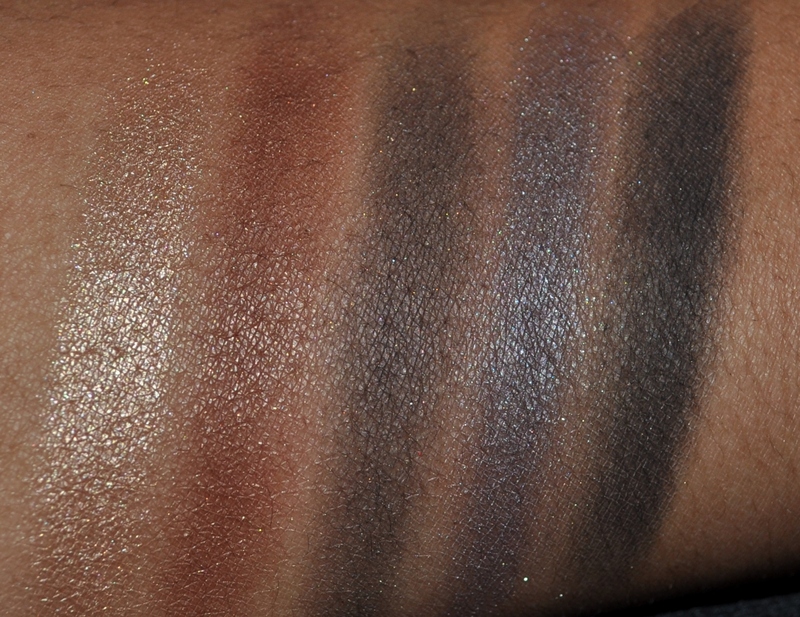 Swatched above from left to right is the bottom row of the palette: Bubbly, Gilded Gold, Luster, Night Sky and Ebony. Gilded Gold is probably the most disappointing shade in the palette because it’s not very pigmented, has a lot of fallout and just seems unnecessary. 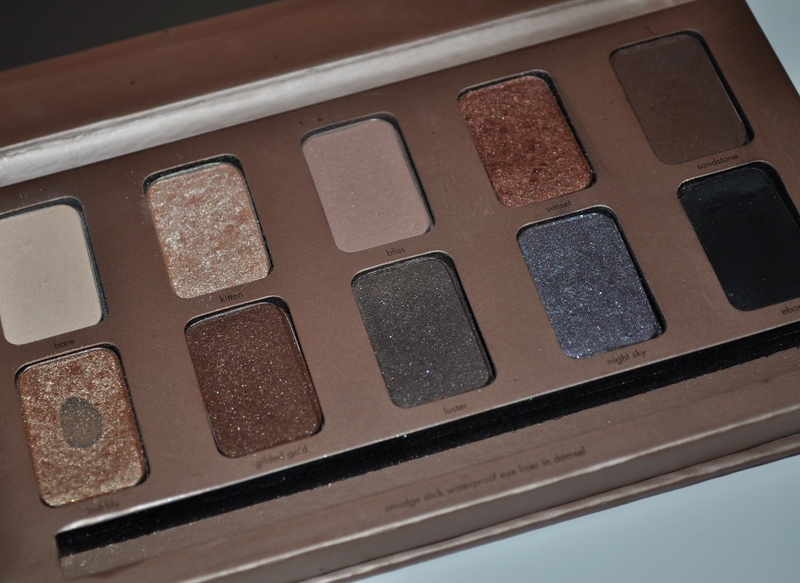 The palette would have been better if this shade had been replaced with a mid-tone taupe that could be used on the lid. 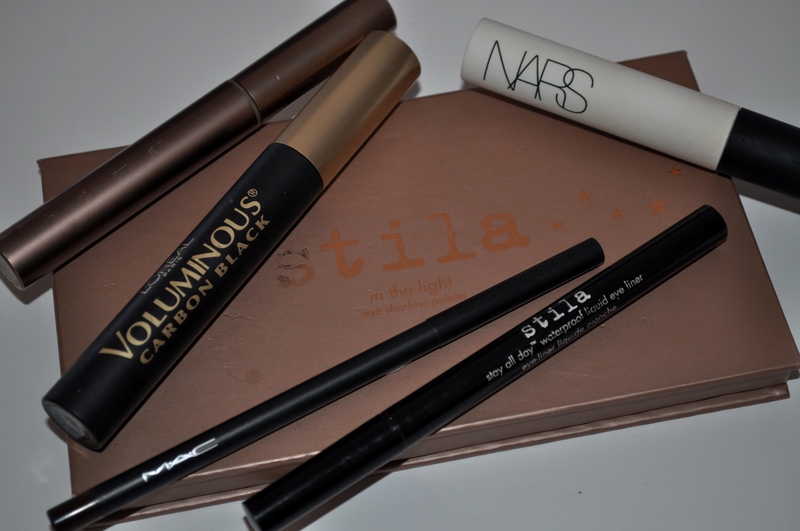 I don’t tend to use this row much, apart from the gold shade, because I like more brown toned neutral looks. 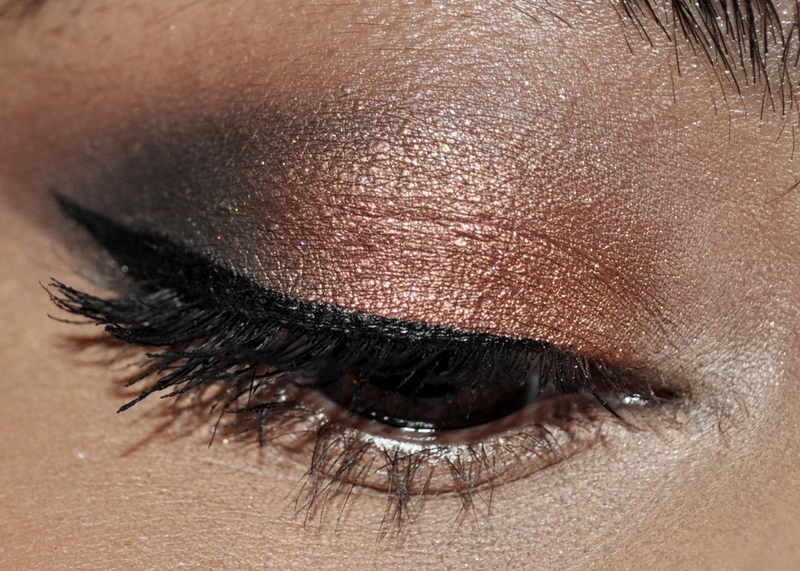 The last three shades are perfect for a cooler toned smokey eye look though. 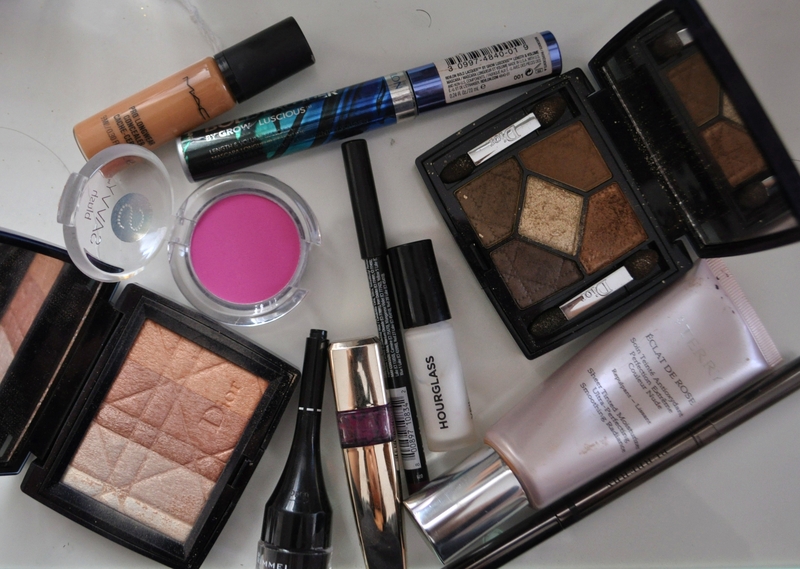 Have you tried any of the products in this post? What are some of your favourites in this category? 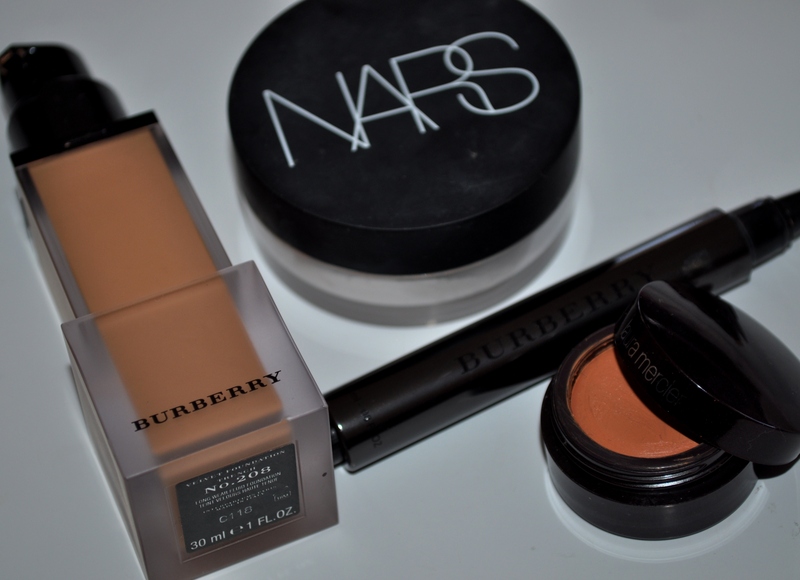 There was one other contender for this title but that was also a Burberry foundation (the Burberry Sheer Foundation) but this one ultimately won out. After trying and loving both the Sheer and Velvet versions, I have to pick the velvet because it works better on my oil-prone skin. It also has the ability to be sheered out and built up which is always a plus. I know I say this all the time but if you haven’t already, get yourself to a Burberry counter, stat! The shade range is so good and is perfect for anyone who find other high end foundations too pink. For reference, I use the shade 208 in the Velvet and 10 in the Sheer. This concealer may have ‘sheer’ in the product name but that doesn’t stop it from giving really great coverage with a natural finish. I love it because the colour match (Amber) is perfect, the texture is lovely and hydrating and it doesn’t crease. I can’t rave about it enough! 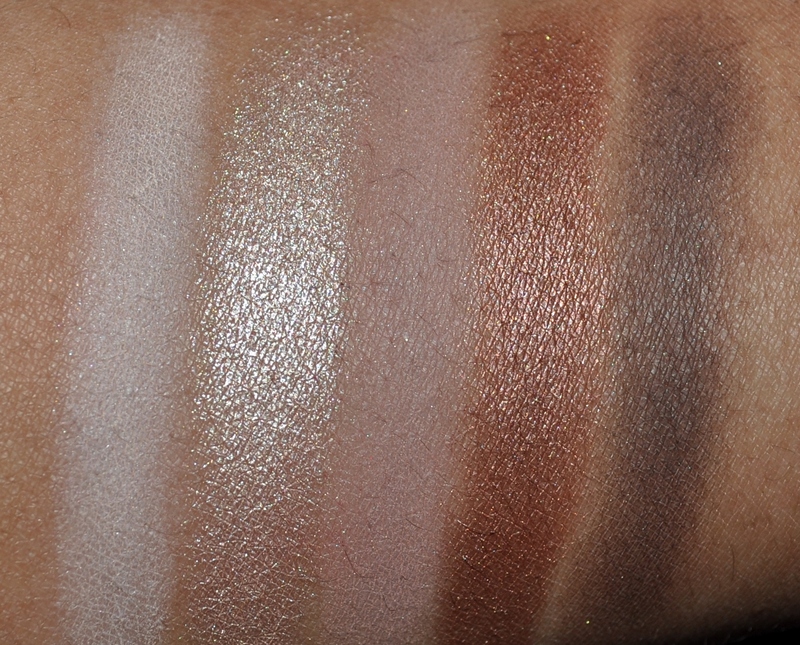 An honorable mention for this category goes to the Nars Radiant Creamy Concealer (in Medium/dark 2- Caramel). I have mentioned this so many times in the past that I don’t know what to say about it now that I haven’t already said! Basically, if you have dark circles and are of a darker skin tone, you need this in your life! Concealers that usually go ashy on you will look natural when applied on top of this and, depending on your skin tone, you might even be able to get away with it on its own. For years I was in love with the Laura Mercier Secret Brightening Powder but that has now been overtaken by the NARS powder. I have it in both the pressed and loose versions and I much prefer the loose powder. The powder is very fine and sets under eye concealer like a boss! Word to the wise though, apply it with a light hand lest you end up with the dreaded reverse racoon eyes in flash photography! 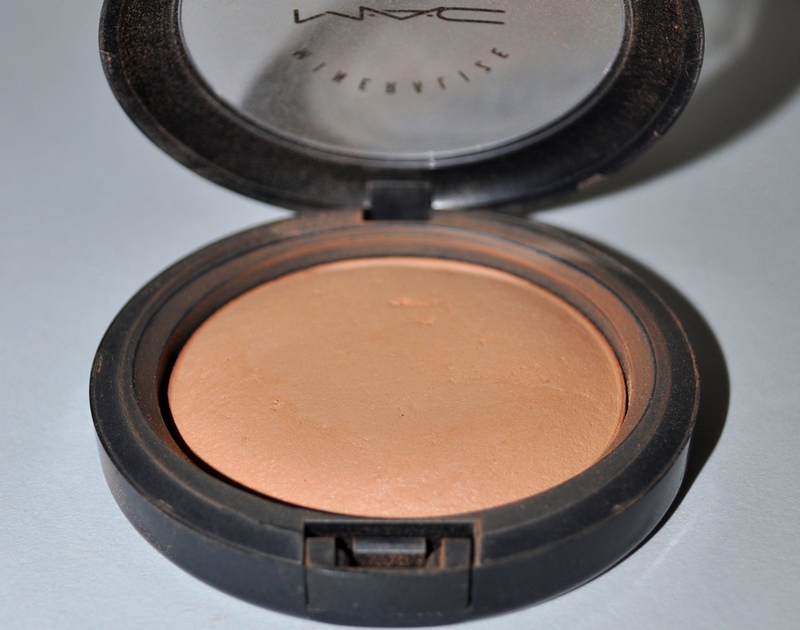 I’ve gone through at least 4 compacts of this stuff because I haven’t found anything else so far that I love as much. I apply it lightly to set my foundation or buff it in on it’s own on more ‘natural makeup days. 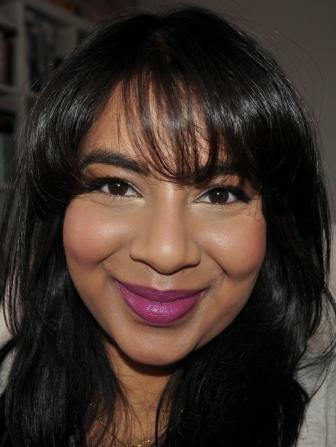 The shade works well on me and it doesn’t turn orange or oxidise like some other MAC products. What are some of your favourite products in the categories mentioned above? Let me know below! This is my first time wearing Ruby Woo. 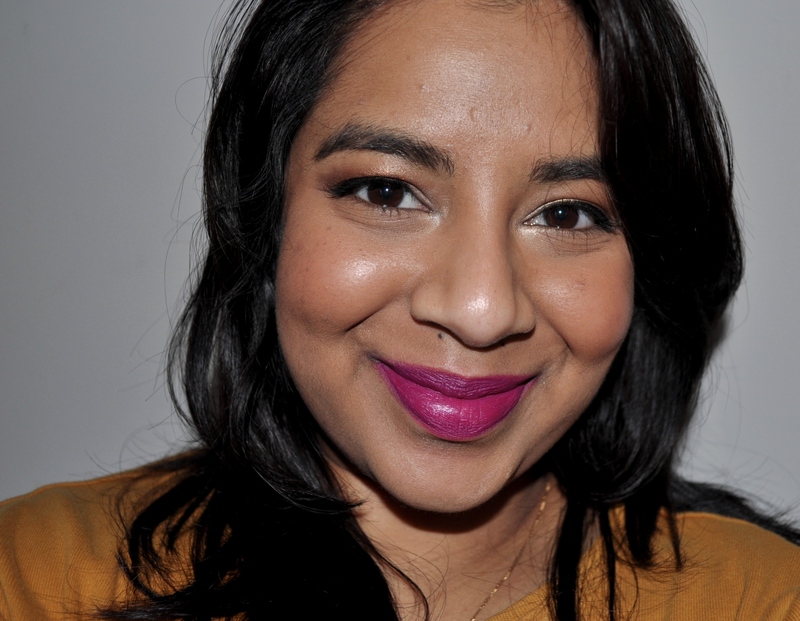 Initital thoughts: love the colour but matte formulas are always less forgiving on the lips. Stay tuned for my review and swatches. One of my cousin’s got married about 2 weeks ago and I was inspired by the earrings I wore when coming up with my eye makeup. 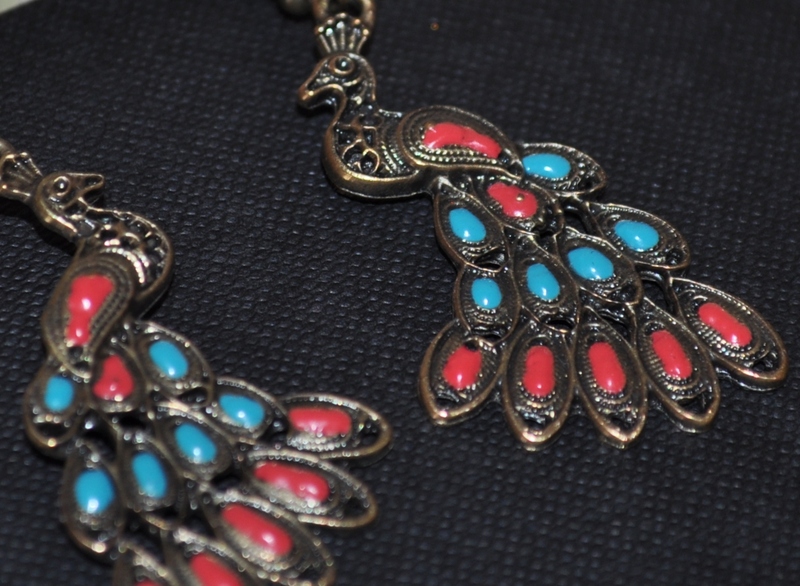 The earrings are of peacocks with coral and turquoise accents. I really loved the combination of the shades which I wouldn’t have thought to pair together and the end look was very fall friendly ( hence the name of the post) even though Australia is currently in spring. 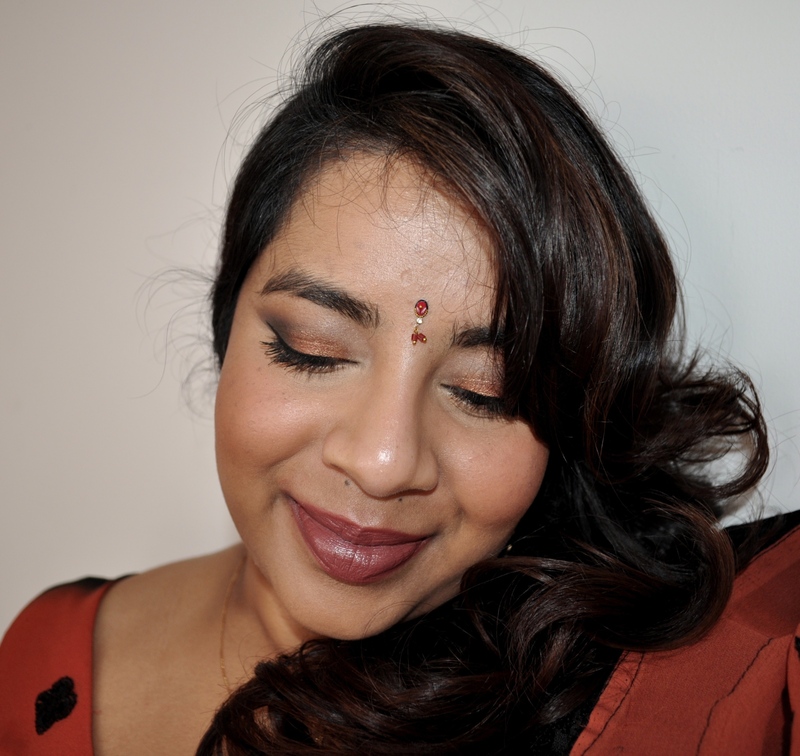 On the rest of the face I used Estee Lauder Invisible Fluid Makeup, NARS Taj Mahal Blush and Chanel Rouge Allure Lipstick in Impertinente. As some of you may remember, during the month of June I participated in Kiss Goodbye to MS. This meant that I had to wear red lipstick every day of the month. This seemed like a fun way to raise money for a good cause but by the end of the month I was sick of wearing red lipstick! 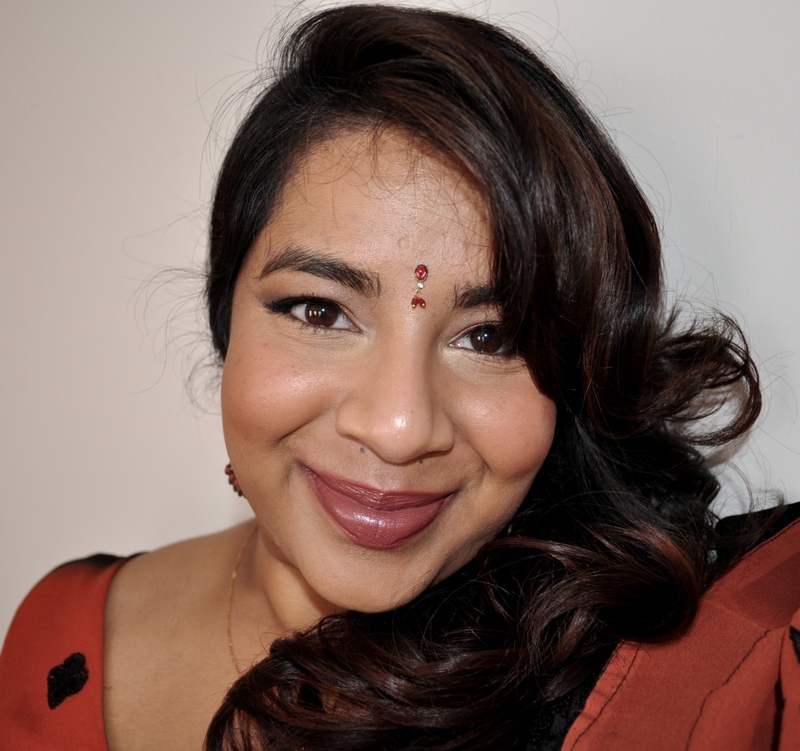 Apart from a red lip here or there, the last two months have been bright lipstick free… until now. With Winter ending and Spring in the air, I found myself wanting to pull out my lipsticks again. I reached for two of my favourites from MAC, Rebel (on the left) and Girl about Town (on the right) in the last few days. Rebel is one of my favourite fall/winter shades because it has depth and brightness at the same time. 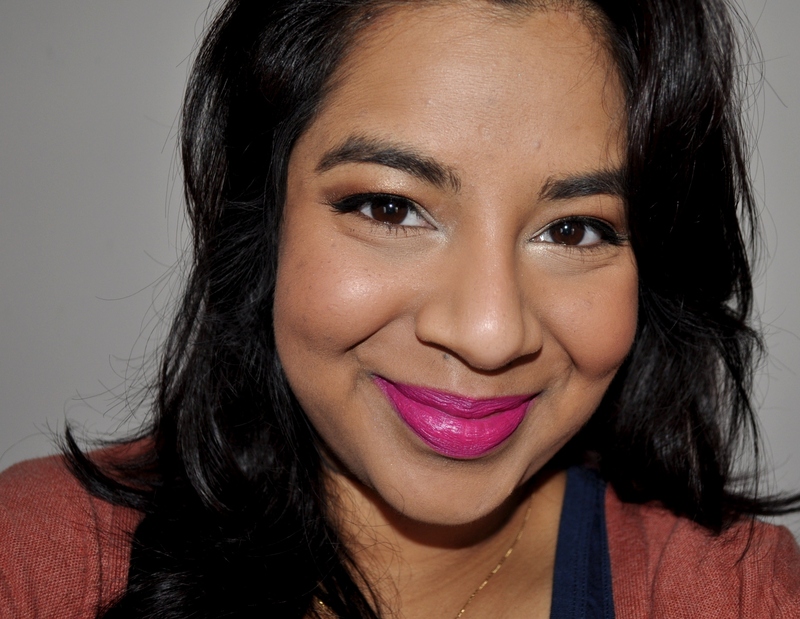 I’m wearing it in the picture below on top of NYX Bloom lipliner. 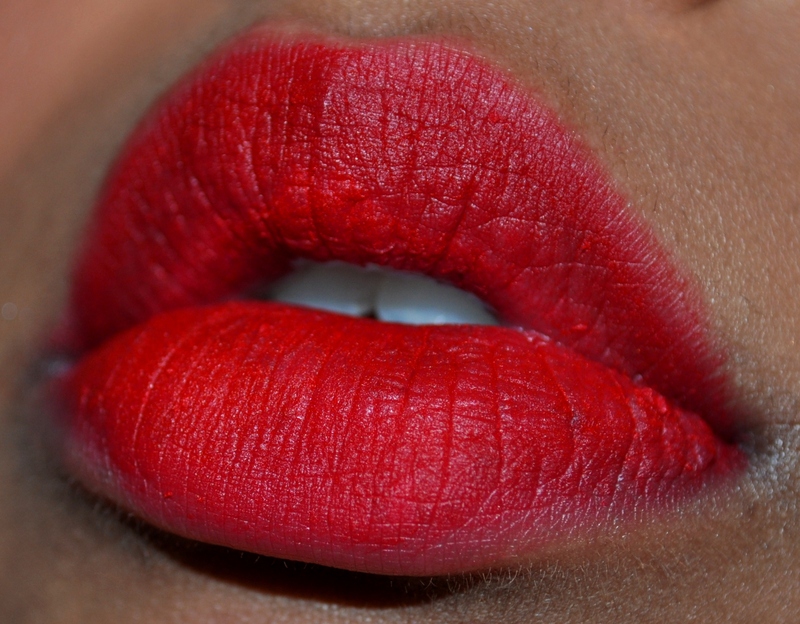 Girl about Town, on the other hand, is a perfect spring/summer shade because it’s bright and fun. It’s the type of shade I wear when I want to dress up an other wise plain outfit. 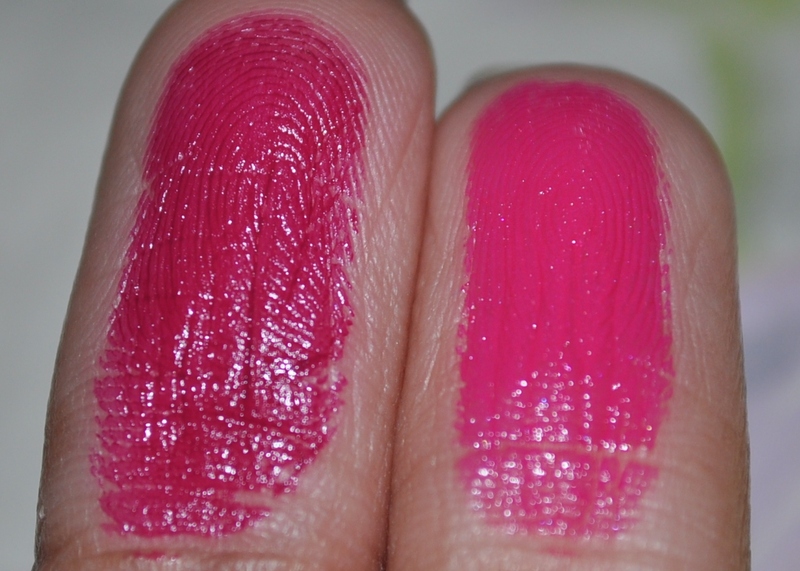 I’ve got it on in the picture below on top of NYX Fuschia lipliner. 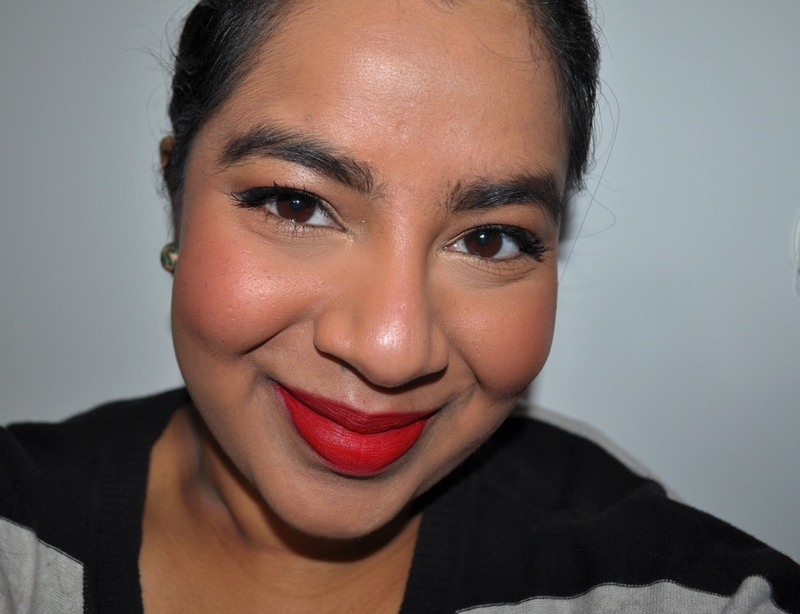 I’m looking forward to these next few months and the warmer weather and the chance to wear my bright lipsticks again. What shades will you be pulling out this coming season?